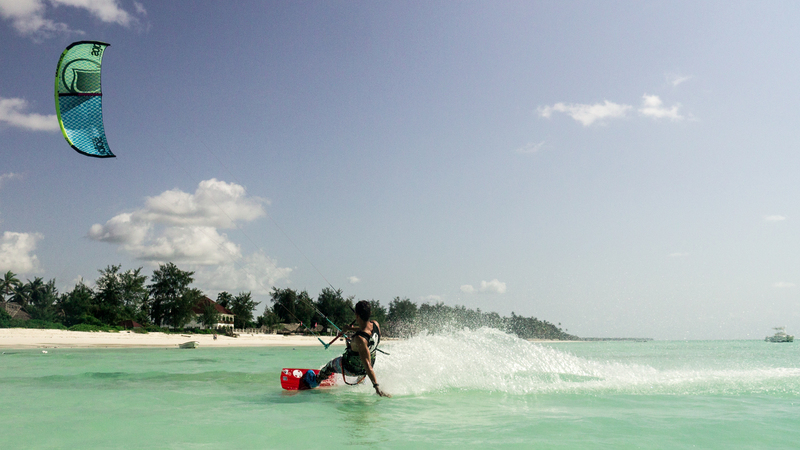 We offer a wide range of kitesurfing courses and other kitesurfing services to cater for all levels and interests. 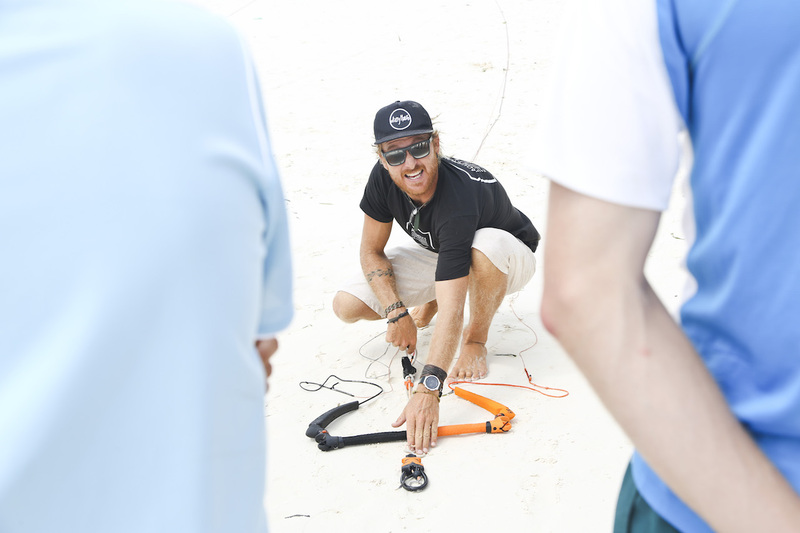 Each season we choose our team carefully and all our instructors have gained a lot of teaching experience over the previous years working in many different spots around the globe. Our school is a small school with a personal touch and we always try our best to make each and every of our clients feel like home in our facility. 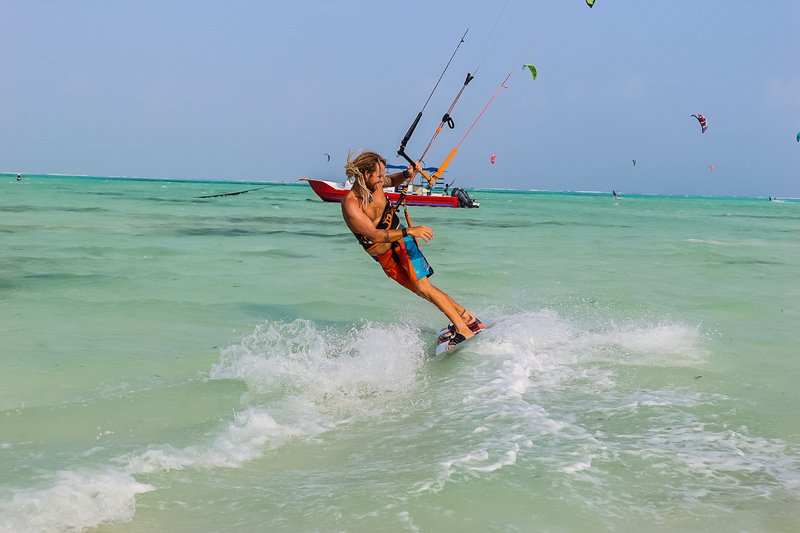 We use the latest Liquid Force gear at our school and all equipment is kept in a great condition and replaced regularly to offer you the safest and best possible kitesurfing experience. Our school also uses radio communication for board riding lessons and intermediate / advanced coaching to make sure you get the best value for money possible while on a lesson. 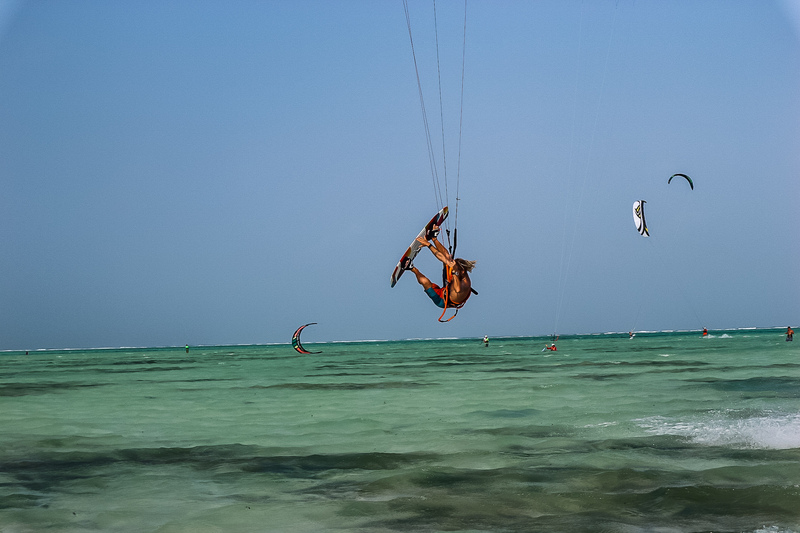 We offer courses for all level Kitesurfers. No matter if you are an absolute beginner, need to refresh your previous course or if you are already advanced - we will suit your lesson to your individual skills. All our Courses are offered as private or semi - private lessons with a maximum of 2 students per instructor. It is possible to book as a group of 3. 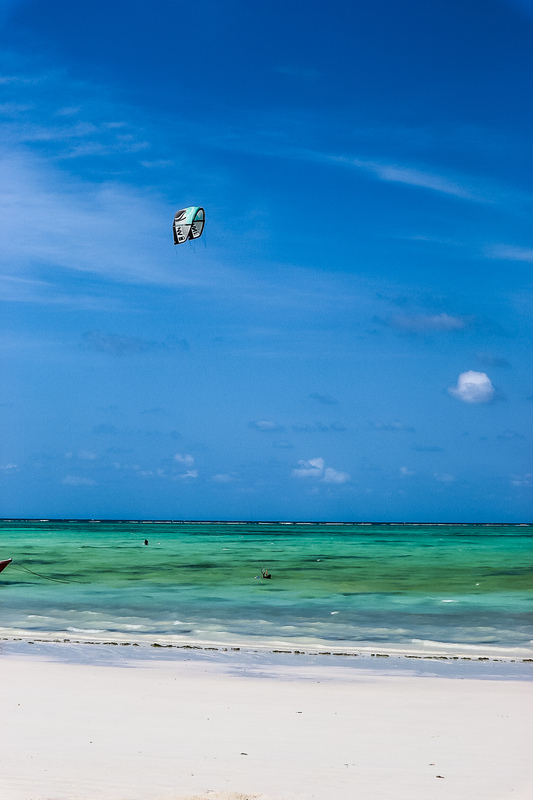 In this case you will be given some extra time on the kite to make the most of your time and offer you the same value for money as you would get in a small group. 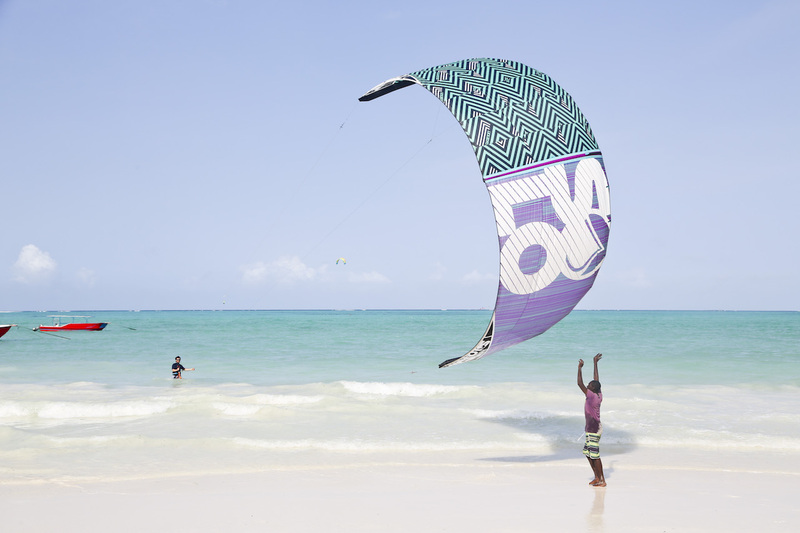 The kite lagoons of Paje on the south east coast of Zanzibar are famous for their beginner friendly conditions and great area to progress your skills and enjoy the ride. 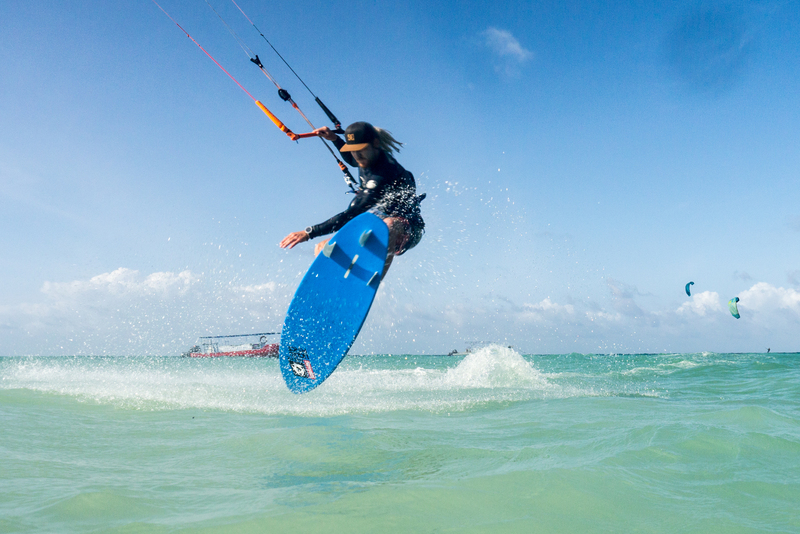 Get hooked and learn this addictive sport with us. 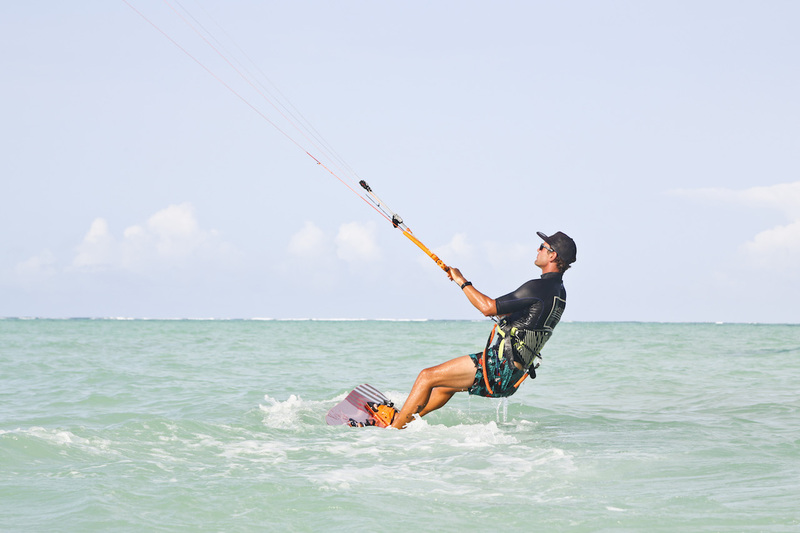 Our experienced and qualified instructors will ensure a safe and fun experience. A beginner course is fun to start and join with another student. Have you done a course before but are not independent enough yet to go out yourself? Or are you ready to take your riding to the next level, work on transition and first tricks and jumps? Then a refresher or intermediate lesson will be the best option for you. Depending on your level we recommend private lessons for the most progressive learning curve. Safe the space in your suitcase and don't worry about extra luggage fees when renting gear from us. Our rates are on a hourly or daily basis. Since we are a rather small school, gear rental is limited and we do not offer pre-booked rental packages. If you plan to rent with us and are staying for a few days, but we always try our best to provide the right gear while you are joining as at the centre. 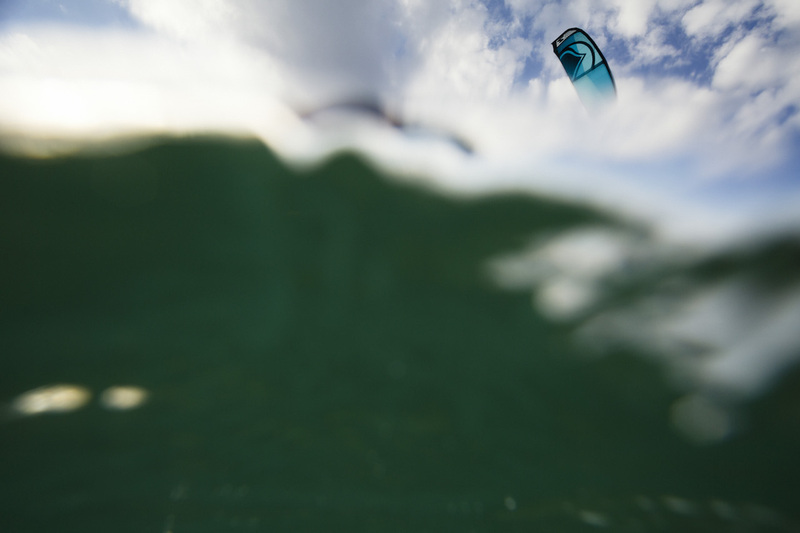 Have someone have a close eye on you during your session on your own gear or rented gear. Price for Supervision is $40 per hour including gear. If you are riding with your own gear supervision rate is $20 per hour.